PHOTO PROVIDED Bellefonte Area High School student Jasmine Kozel makes a bowl for the annual Empty Bowls charity dinner, which is scheduled for Friday, March 29. 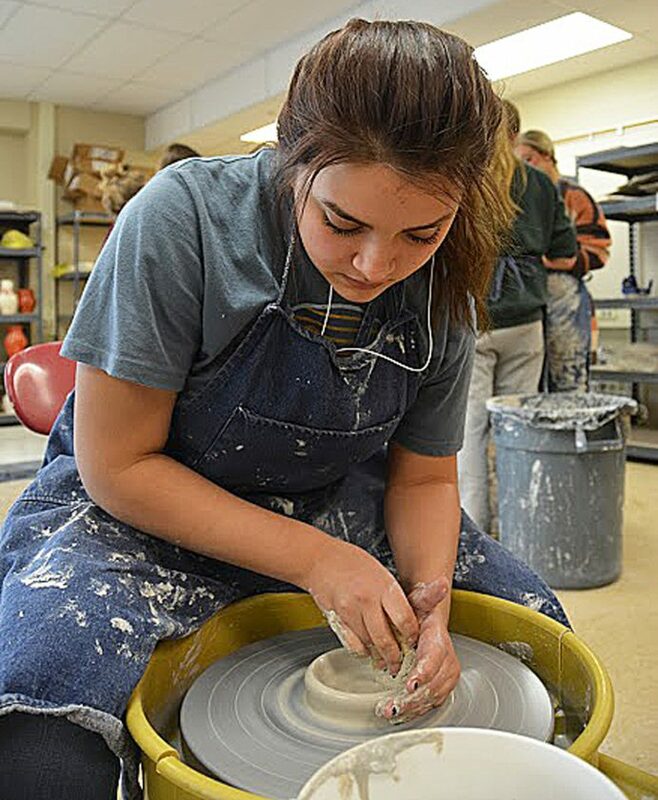 BELLEFONTE — Empty Bowls is becoming a tradition at Bellefonte Area High School. 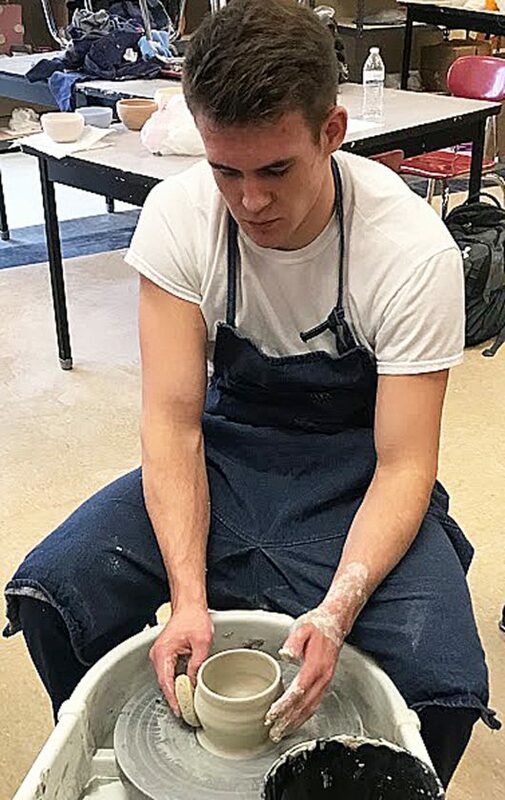 Art students at the high school are currently making ceramic bowls for the annual Empty Bowls charity dinner, which will be held from 5 to 7 p.m. on Friday, March 29 inside the BAHS cafeteria. The event costs $15 for a bowl of soup in a handmade ceramic bowl designed by students and staff. The dinner also includes bread, dessert, beverages, live entertainment and prizes. And, of course, those in attendance will get to keep their bowl. This year, the dinner will benefit YMCA’s Centre County’s Backpack Weekend Food program, which helps students in the Bellefonte Area School District. “The first year, we donated (proceeds) to the Women’s Resource Center in Bellefonte and the second year to the (Faith Centre) Food Bank. Last year, went with the backpack program. 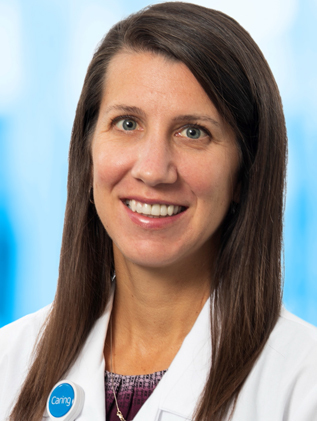 We really felt that our hearts were with that program, so we’re sticking with that,” Fry said. PHOTO PROVIDED Kyle Myers is one of many students making bowls for the annual Empty Bowls charity dinner, which is still a couple of months away. The Backpack Weekend Food program gives students free non-perishable food to last the weekend. If you come to Empty Bowls, you’re not just getting a generic bowl and some type of condensed soup. As Fry explained, the handmade bowls are filled with soups (and chili) from some of the finest restaurants in Centre County. Among those who donate soup: Home Delivery Pizza, Hublersburg Inn, Nittany Lion Inn, P.J. Harrigans and Pizza Mia – just to name a few. The Blonde Bistro, Irving’s Bagels and Panera Bread donate the breads to make the meal complete. Most desserts are donated by staff or parents and are made from scratch. 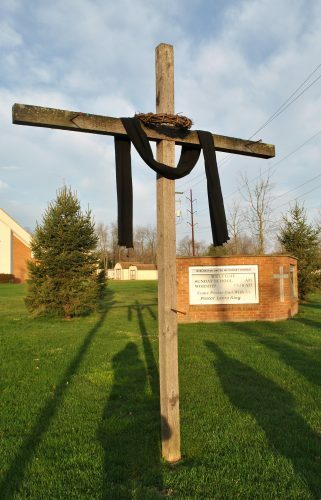 “We ask for donations of four gallons of soup from each restaurant. It might sound like a lot, but it goes fast,” Fry explained. The most popular soups in previous years have been baked potato, French onion, chili and wedding, Fry said. According to Fry, the Empty Bowls dinner is quite a process. From creating all the bowls to serving the food, there is quite a bit involved. The ceramic bowls made by the students will be good for use long after the dinner is over. The handmade bowls are dishwasher safe, so those attending will have them for years to come. If you want to attend the dinner, but don’t want to purchase a ceramic bowl, you can do that for $7. Tickets are not sold and reservations are not accepted, so everything – from bowls to your favorite kind of soup – is on a first come, first served basis. “We usually have enough soup for seconds,” Fry said with a laugh. Although the event runs until 7 p.m., Fry recommends coming early. “We go until 7:30 and then we’ll start tearing down,” she said. In addition to feeling a sense of pride, students who take part in Empty Bowls can earn community service hours.